What should I do if lost my garage door remote control? Losing garage door remote controls is a common problem according to garage door Woodland experts. To avoid this, you need to buy a backup remote. Before doing so, you can also check it inside your car or in your house since you might have misplaced it. 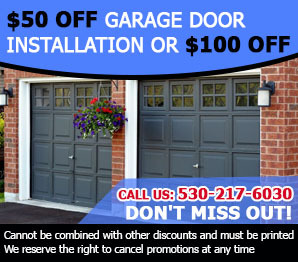 What is the importance of the garage door manual? You might put aside the garage door manual after installation, but you do need to read the manual since there are details that can be used for emergency situation. If you have read these details, you will not panic anymore. Why doesn't the overhead door come in contact with the ceiling? Don't forget that the overhead door travels on the garage door rollers, which run through the tracks. If the door would come in contact with the ceiling, it wouldn't slide open. On the contrary, it must be a few inches below so that it can move without finding obstructions. Why do one-piece doors move at a slower speed? One-piece garage doors are made to only move at the slowest speed and such an adjustment (made in the factory) cannot be changed by the homeowner. This is done for safety reasons. One-piece doors are actually huge panels and they could hurt someone if they move fast. They are also too heavy to move quickly. Which is the quietest type of garage door opener? Traditionally, the belt drive units have been considered the quietest as there is minimal friction between the plastic and rubber belt and the surrounding metal components. However, now the manufacturers of the new direct drive openers, which have a compact motor unit that runs along the rail, claim that their devices make the least noise. Shoppers should have the option to test the opener before deciding.